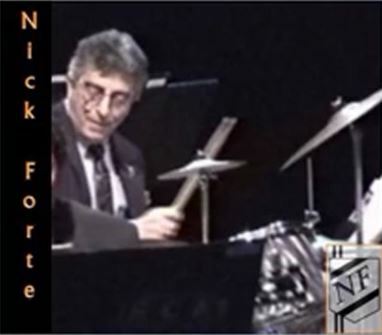 At the age of 12, Nick Forte began drum lessons with James Stavris, Sr. After several years with Mr. Stavris, he continued his percussion studies with Alexander Lepak (then Chairman of Percussion, Hartt School of Music, University of Hartford and 1997 inductee to the Percussive Arts Society Hall Of Fame.) Other Studies, with notable area teachers, included Bass, Piano, Guitar and Cello. In 1971 Mr. Forte received a Certificate for the completion of studies in Harmony, Theory, Arranging and Composition, from the Berklee School of Music. Mr. Forte’s teaching experience spans over 50 years and includes hundreds of private students. 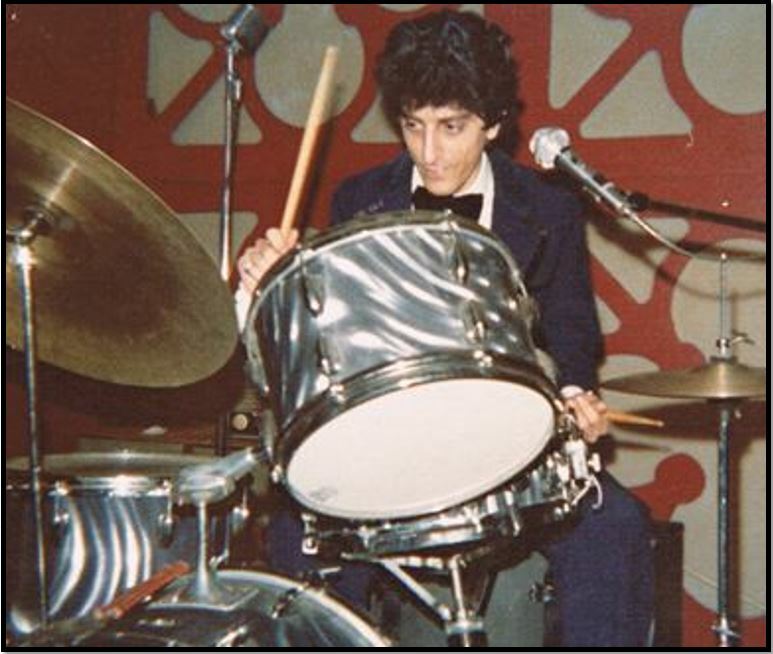 In addition, he has taught drumming at several private and public schools, namely: Educational Center for the Arts, Choate Rosemary Hall, Neighborhood Music School, Cooperative Arts and Humanities High School, Housatonic College and the University of Bridgeport. As a performer Mr. Forte has worked (since the age of 13) in a variety of musical genres, including: Studio, Live Concerts, Club Dates and Musical Theater with celebrities such as Rodney Dangerfield, Juliet Prowse, Don Rickles and many more. 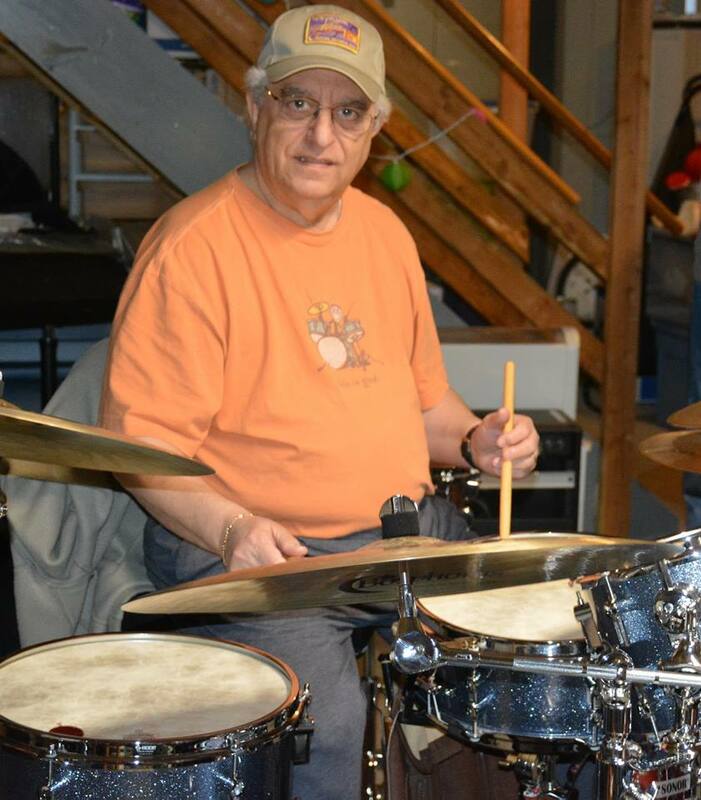 As “house drummer” for many area jazz venues, he has worked with such legendary notables as: Clark Terry, Phil Woods, Billy Taylor, John Carisi and Gerry Mulligan, to mention just a few. Mr. Forte has written over a dozen publications, which are listed in the catalog at the end of each book and on the Forte Music Publications website. 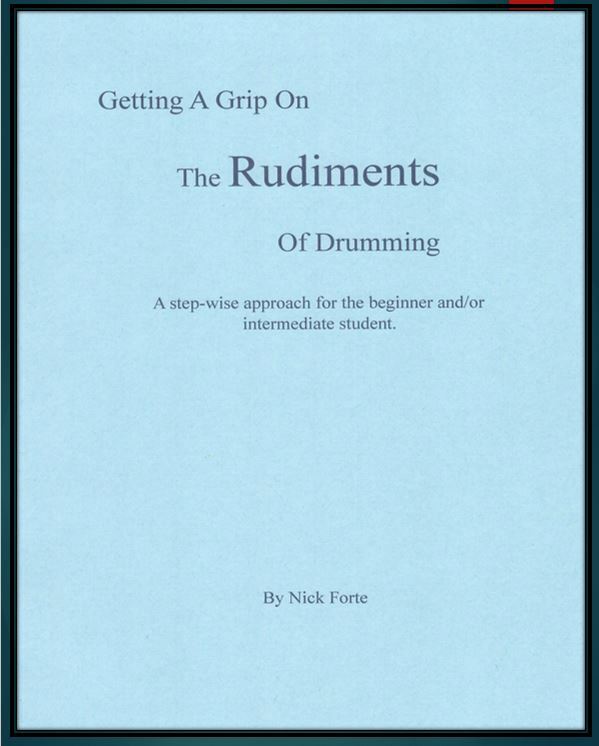 Other writing includes educational articles for Down Beat and Modem Drummer Magazine (where he wrote over a year’s worth of monthly articles for his Understanding Rhythm series). For a special presentation of these articles, click HERE! 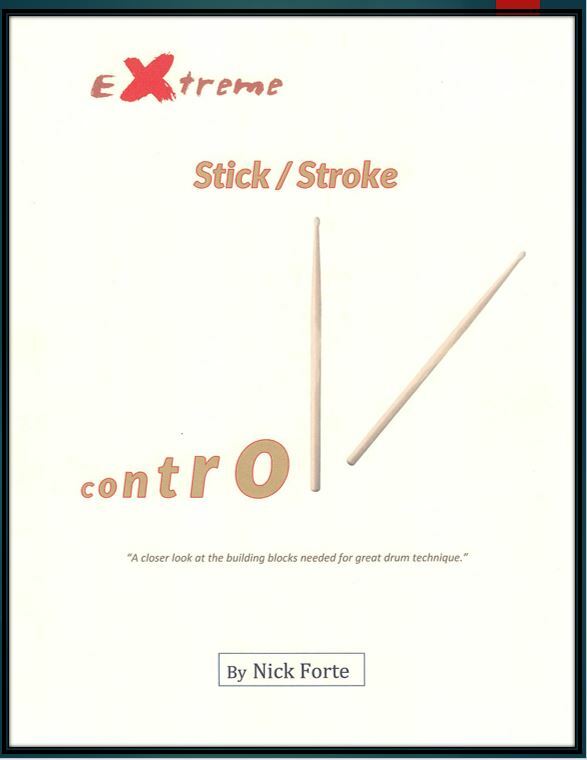 Forte Music Publications strives to produce the very best in Drum Instruction Materials. Whether you are a seasoned professional looking for advanced concepts to challenge your skills or are a beginner needing the expert guidance from the very basics, there is a book or series of books that will allow you to make the most of your study time! Our Publications are not just for students! Drum Instructors looking for a fresh approach to teaching based on a proven curriculum are using them as well. If you are a Drum Teacher, contact us for pricing and availability on bulk orders! 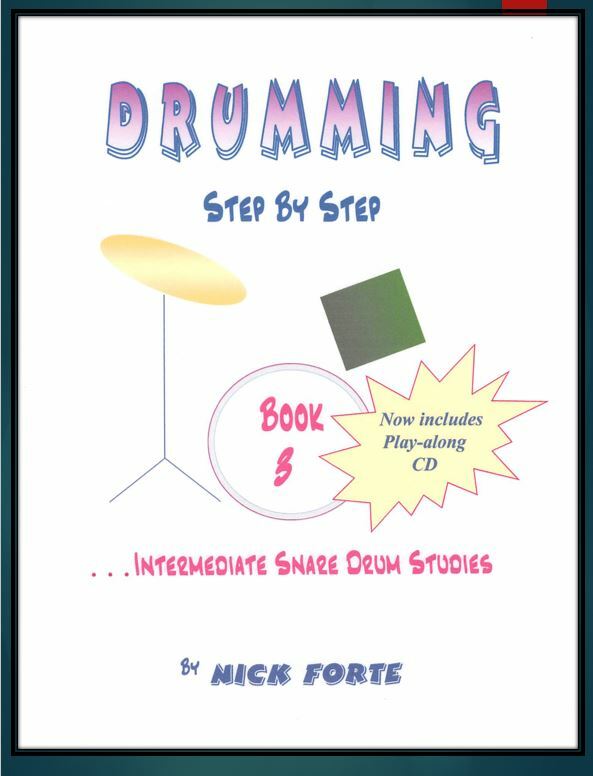 Book One of Six in "THE" Stand-Alone Drum-Study Course!! 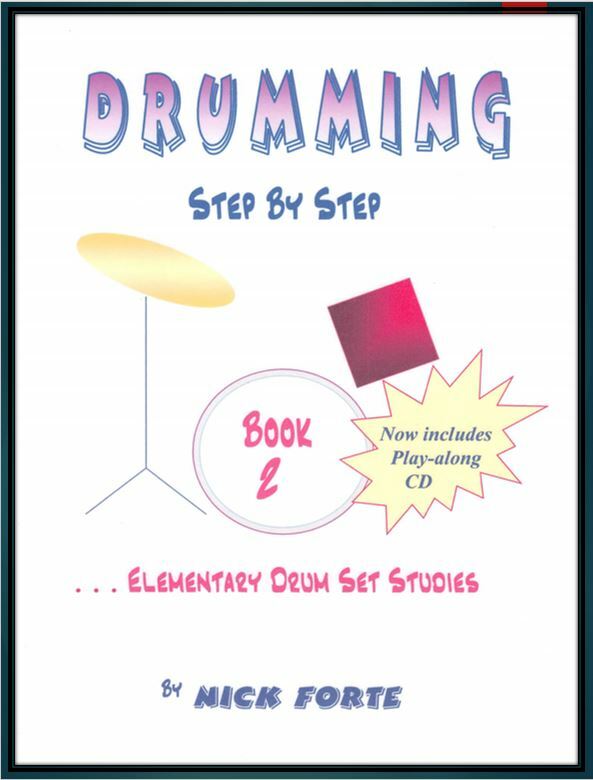 Book Two of Six in "THE" Stand-Alone Drum Study Course!! 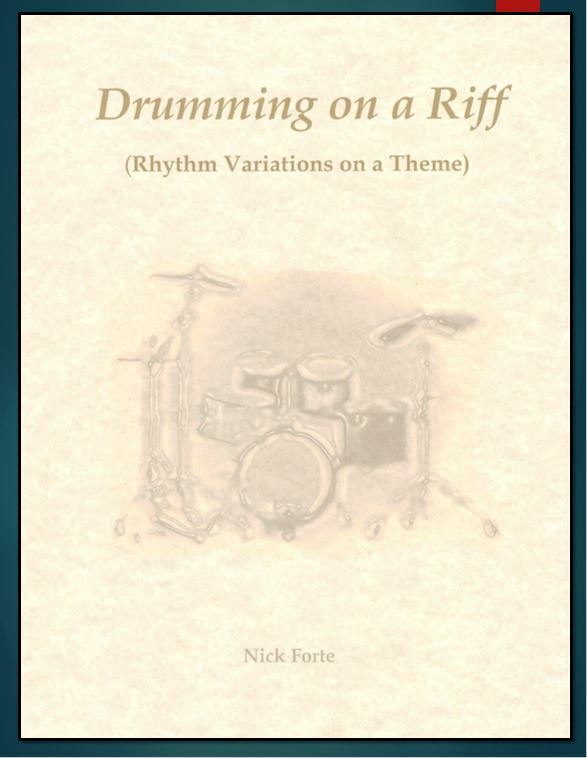 Establishes Strong Rock Grooves & Fills for the Beginner! 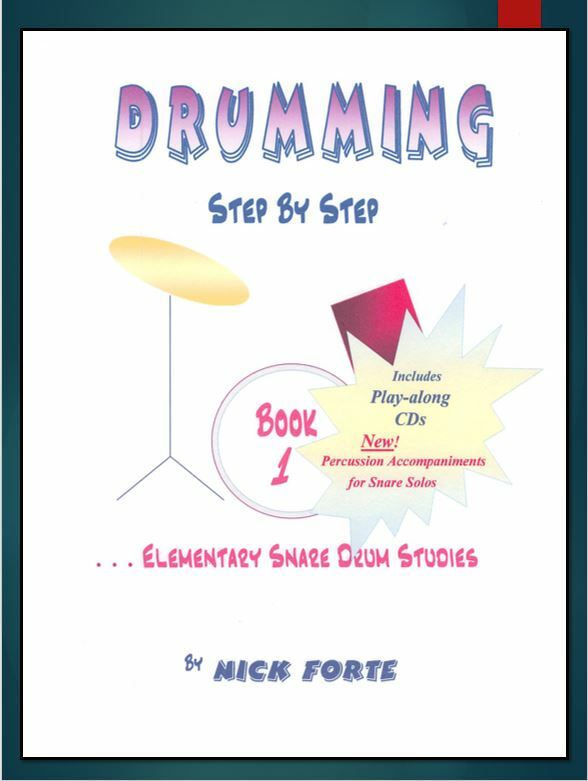 Book Three of Six in "THE" Stand-Alone Drum Study Course!! 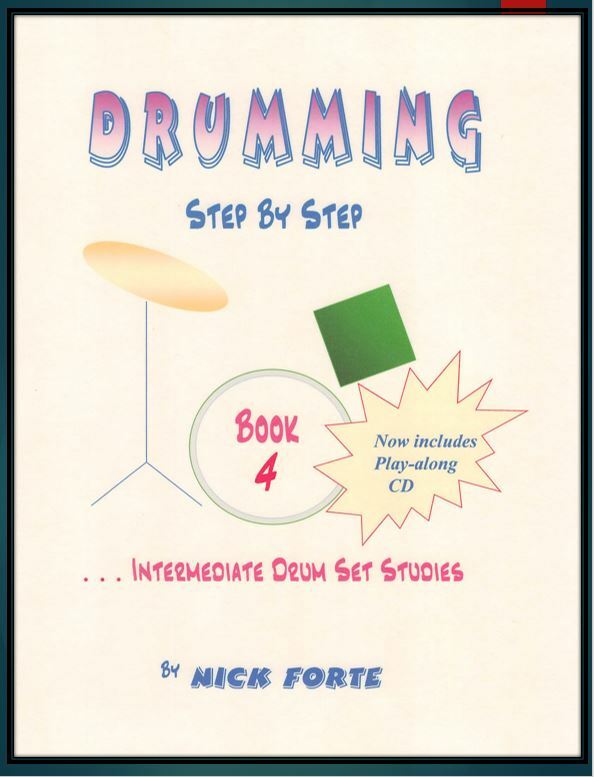 Book Four of Six in "THE" Stand-Alone Drum Study Course!! 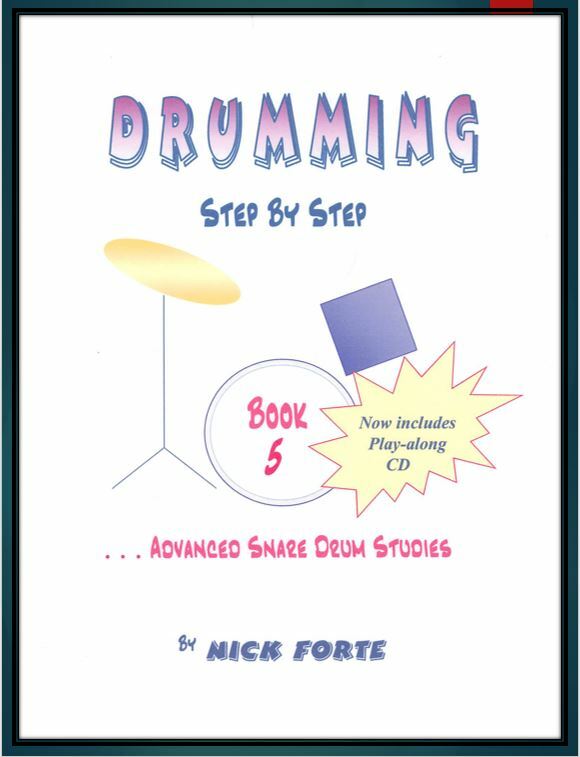 Book Five of Six in "THE" Stand-Alone Drum Study Course!! 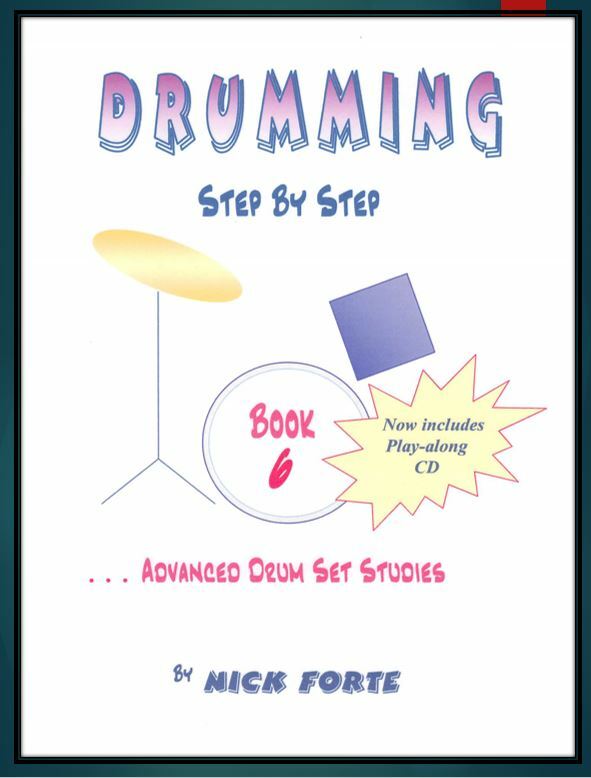 Book Six of Six in "THE" Stand-Alone Drum Study Course!! 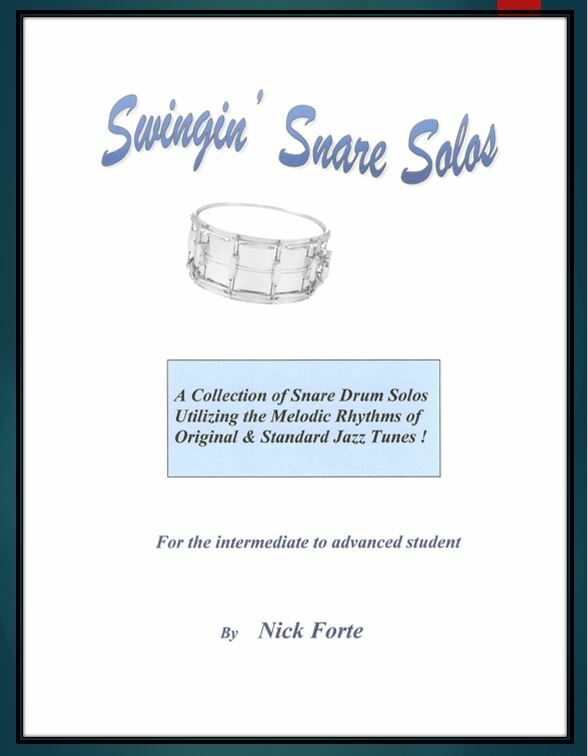 This is a collection of close to fifty snare drum solos arranged in order of difficulty from intermediate to advanced. 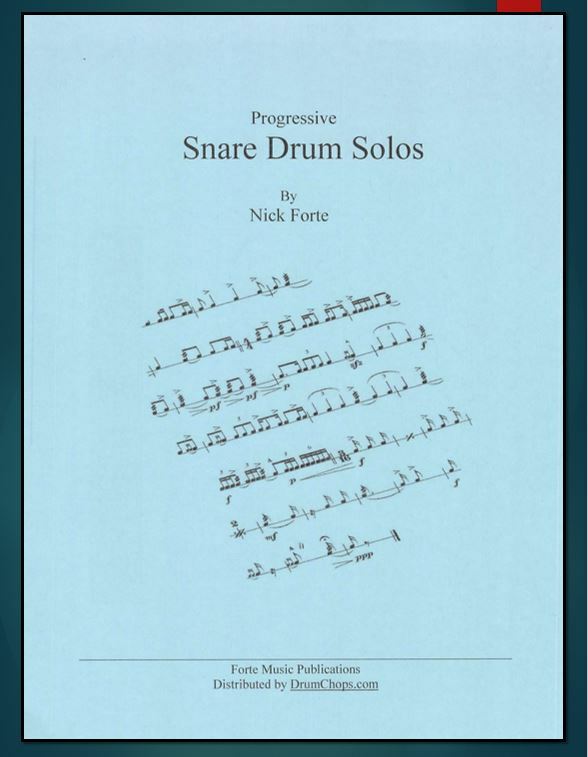 A collection of drum solos which are played with other instruments of the orchestra (as duets and trios) includes notation for each performer. 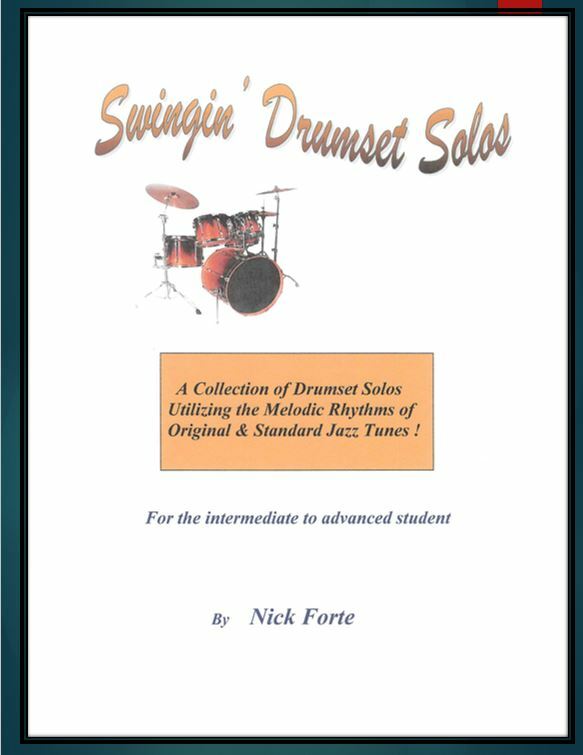 Original solos written to utilize melodic rhythms from the "standards" jazz Library. 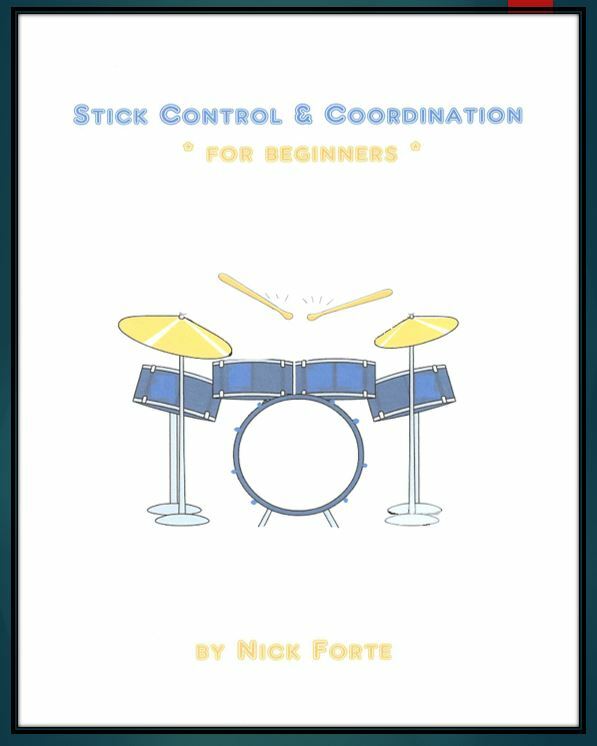 Advanced Stick Control techniques that teach not only what to practice, but how to practice to achieve peak results! 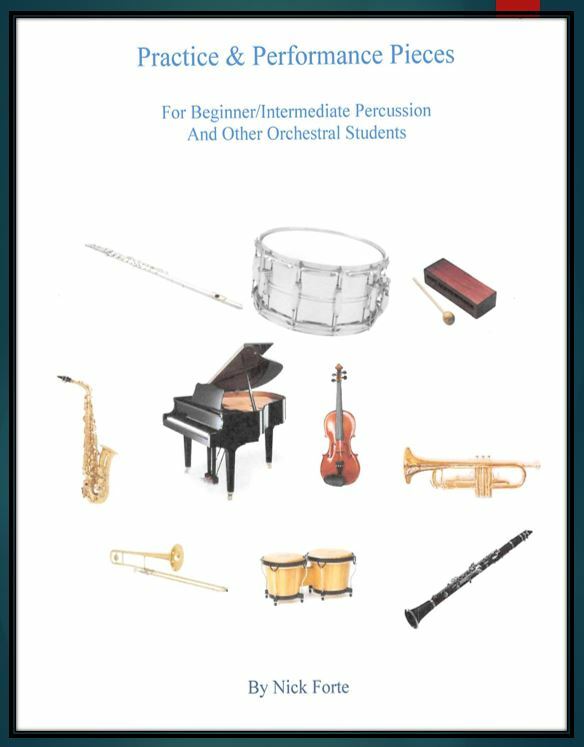 Provides the "secrets" to utilizing simple patterns in creative ways that allows the development of more interesting and complex solo ideas. Designed to allow the student to participate in the writing process! 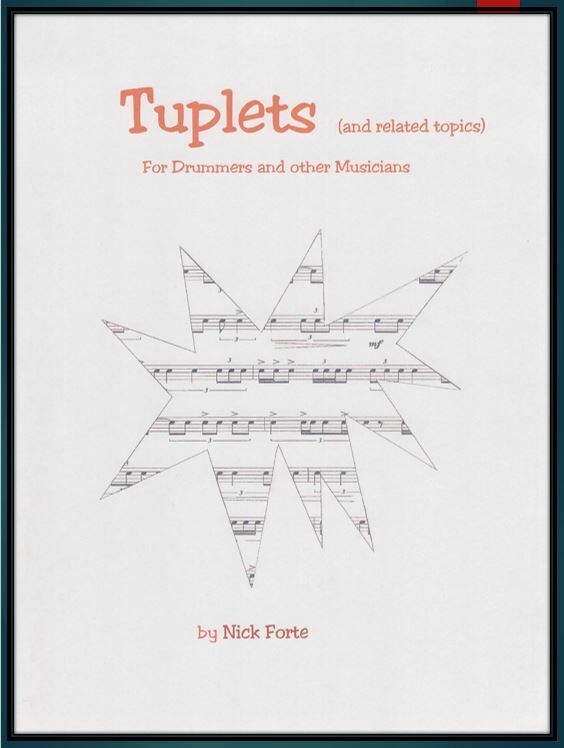 Provides information on the subject of Tuplets, their construction & Application. 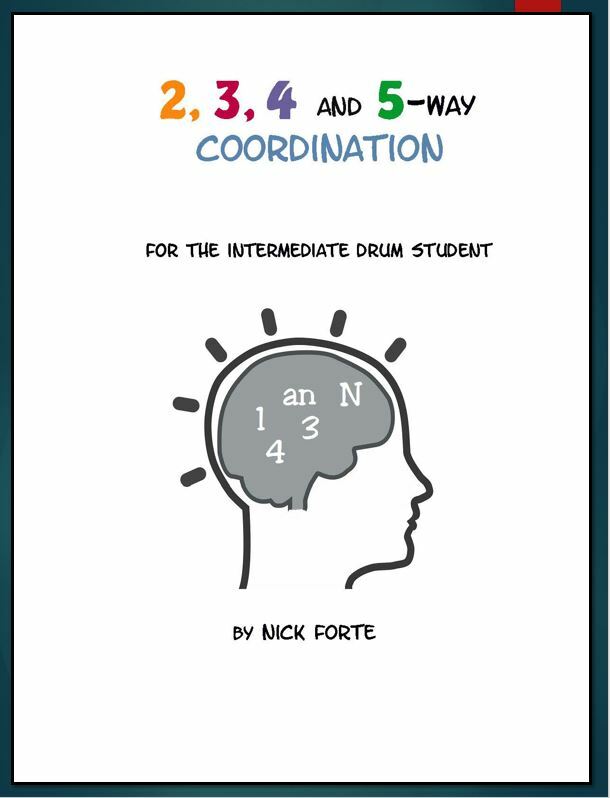 Provides important supplementary practice material for the beginning drum student. 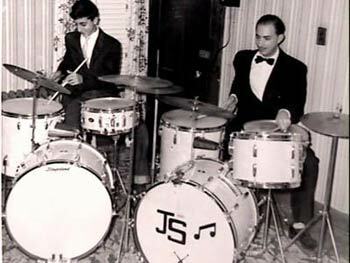 With a focus on appropriate, level-related, snare and drumset technique often lacking at the beginner level. 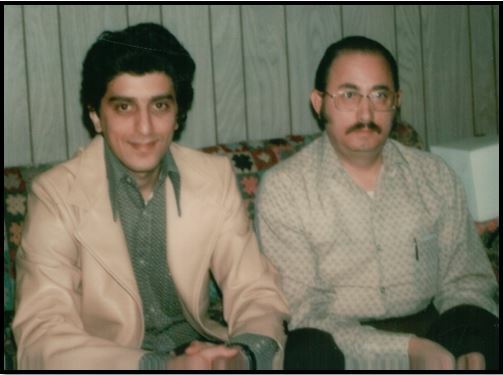 An early photo of Nick Forte & Jimmie Stavris Sr.
Nick, Jimmie & Jim Jr.
An early photo from one of the Jimmie Stavris Drum School & Shop's infamous "Drum Recitals". 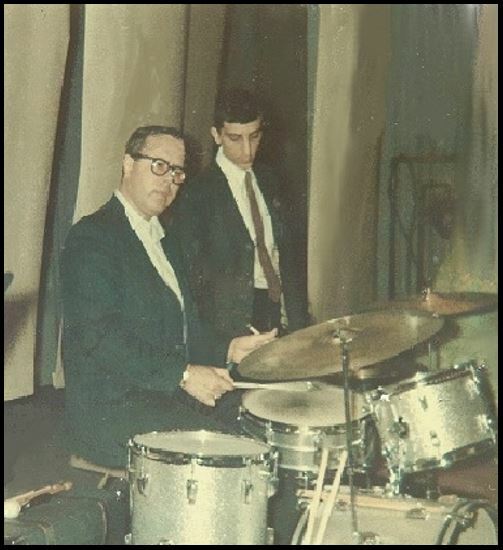 Here Nick sits in with Jimmie Stavris as son Jim Jr. plays the kit. 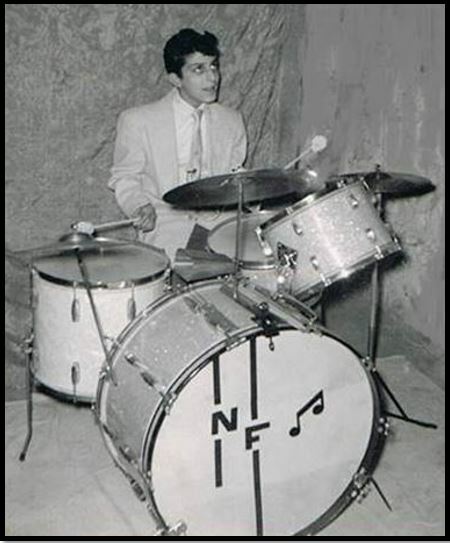 Here is a classic photo of Nick with his signature Slingerland Black Satin Drum Set! 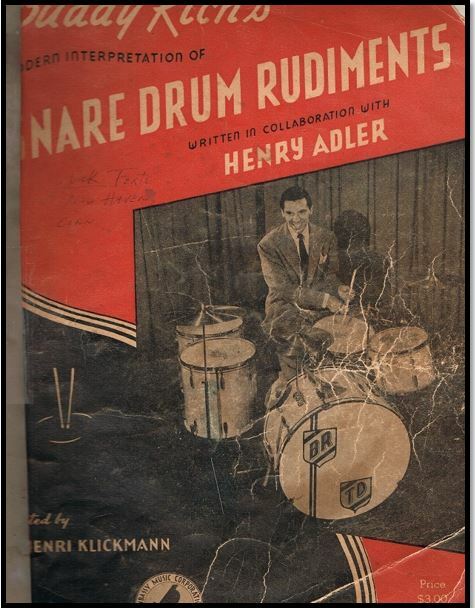 Here is Nick's first Buddy Rich Book given to him by Jimmie Stavris Sr. 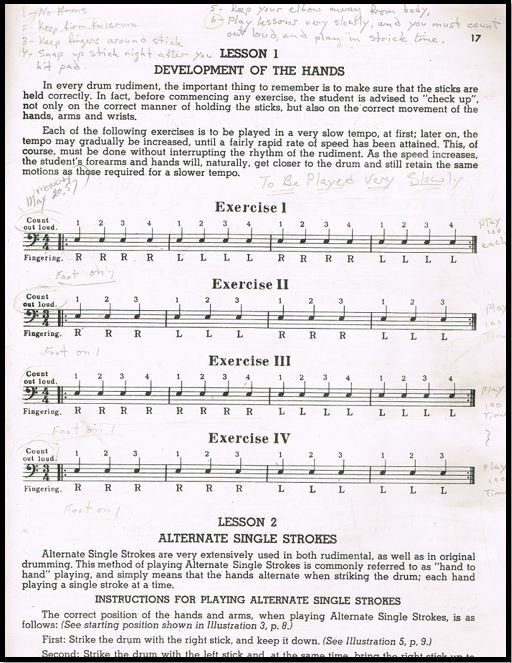 Here is Nick's first lesson page from the Buddy Rich Book! 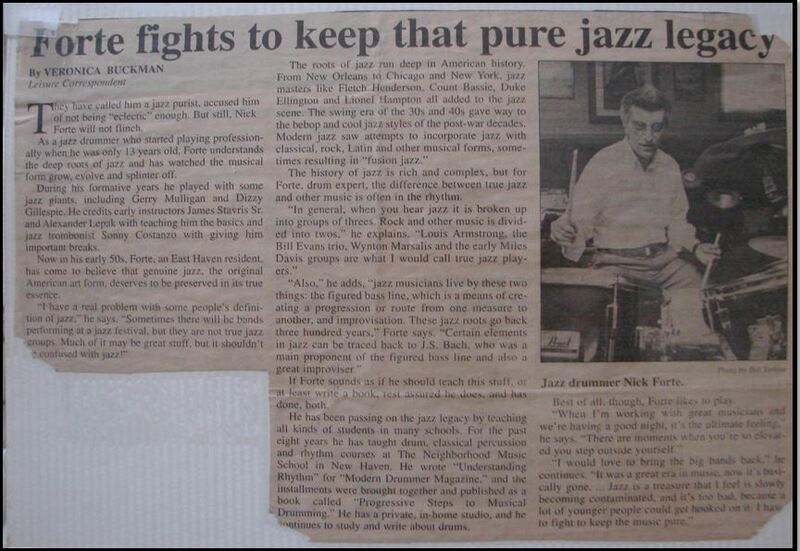 Published article on Nick's Love for Jazz and his efforts as an Educator to keep this art form alive! 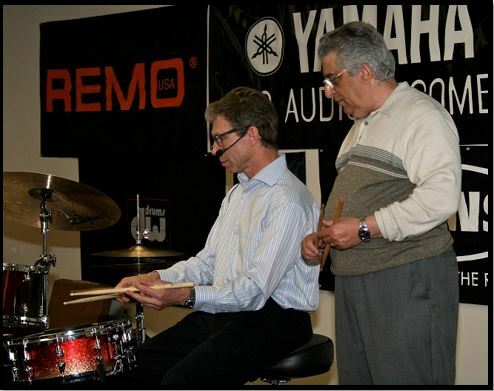 Jimmie Stavris Sr. would bring famous drummers in for clinics as often as possible. Here is a photo after Joe Cusatis performed. 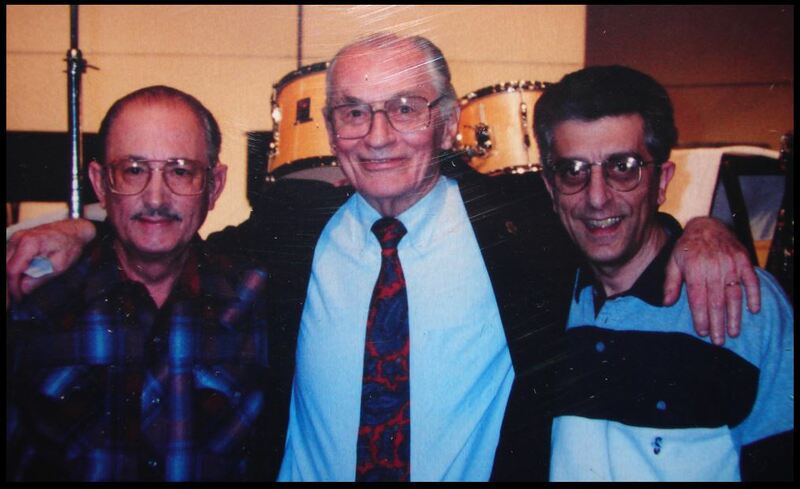 From left to right is I believe our Slingerland representative at the time, Jim Sr., Joe Cusatis, Jim Jr. standing in front of Joe, and Nick Forte. 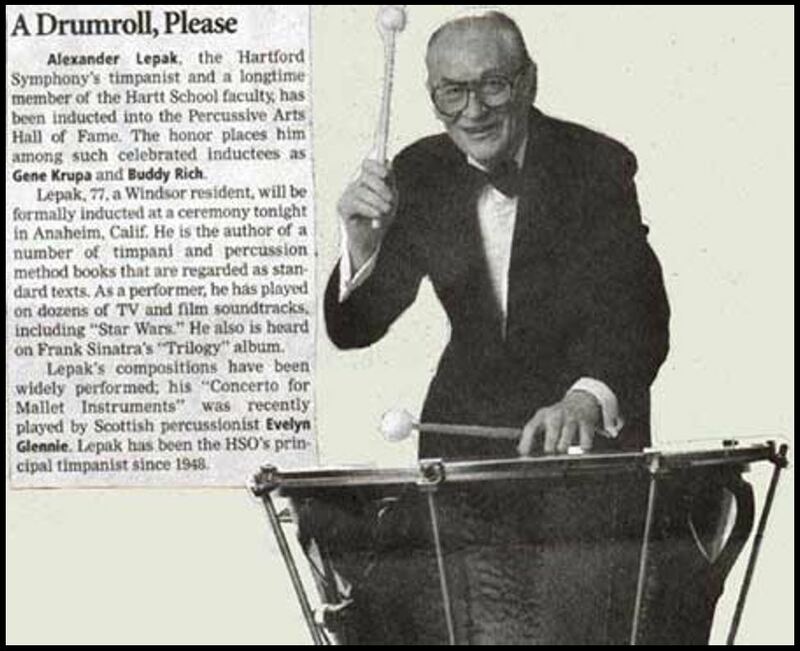 Information on Al Lepak, Nick's Percussion instructor at the Hartt School of Music. 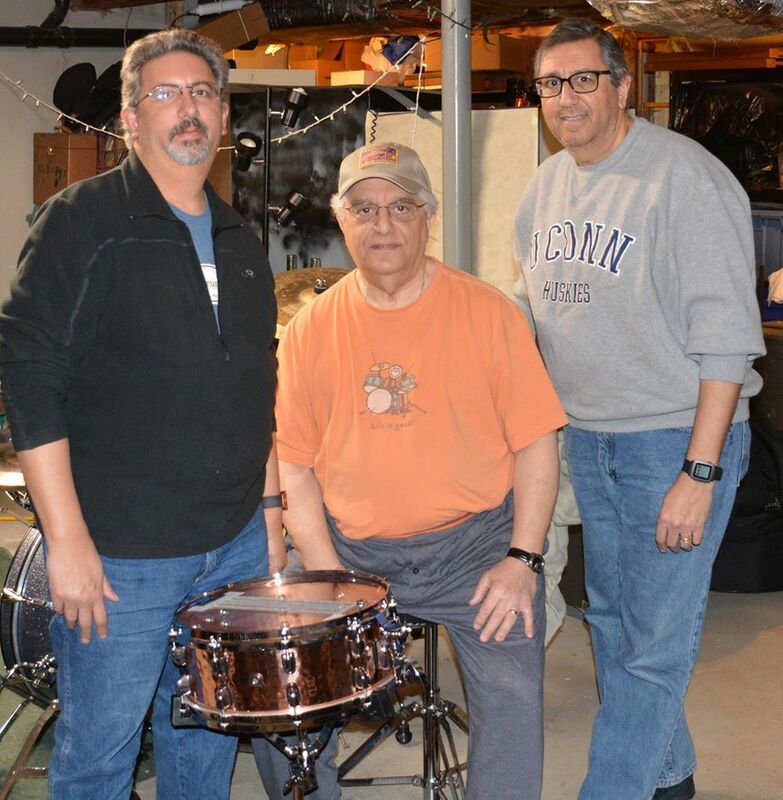 A more recent photo of Nick with Lou & Jim Stavris after a 3 way family "Drum Battle" for fun! 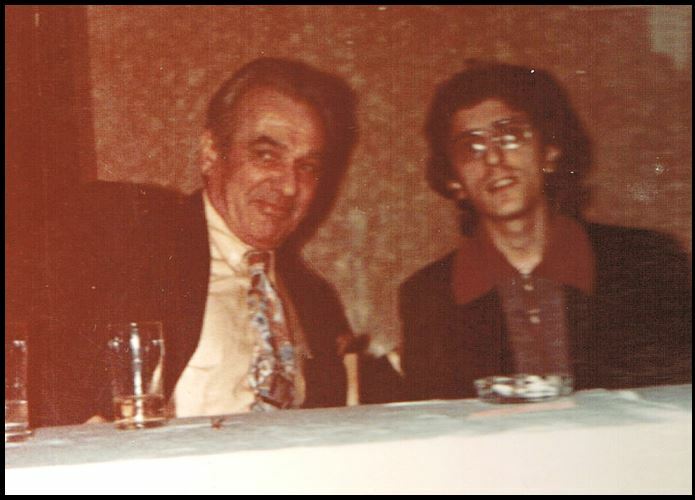 Here is a very rare photo of Nick with Drum Legend, Gene Krupa! 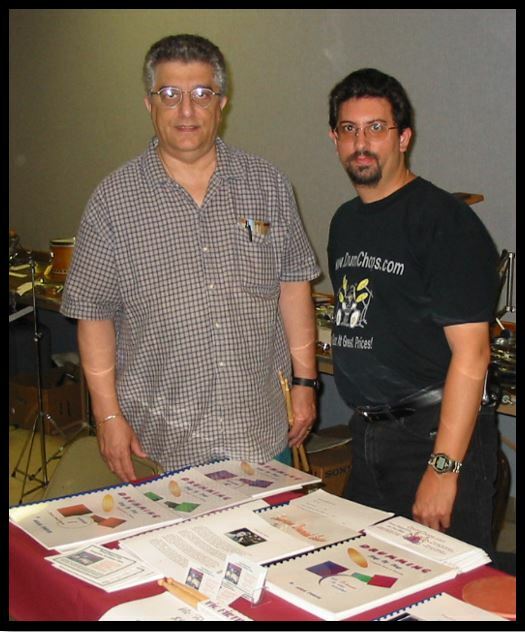 Nick with Lou Stavris at a recent Drum Expo where Nick displayed the extensive Forte Music Publications extensive. 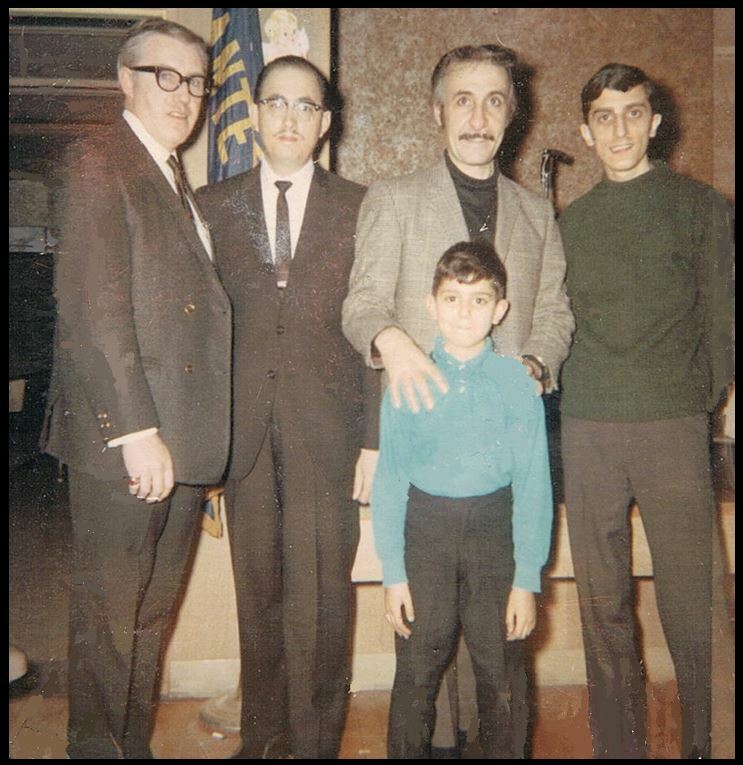 Here is a classic photo of Nick with Jazz Great, Joe Morello! Joe came into town and actually used Nick's Drums for a show! 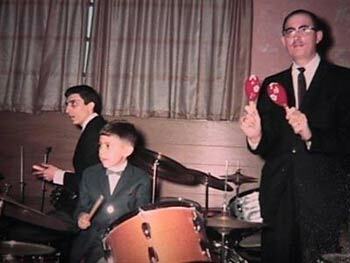 Here is a more recent photo of Nick as he warms up to join in on some family "Drum Fun" with Jim and Lou Stavris. Nick sitting in for a couple of tunes at his own wedding! 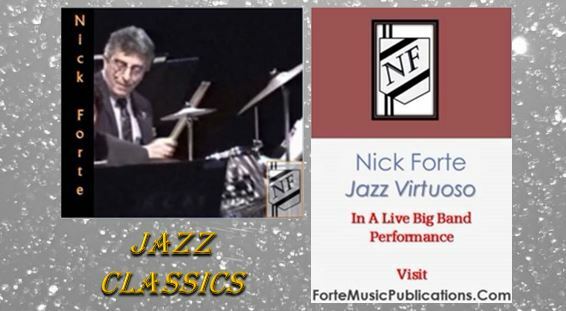 Seeing Nick with a Big Band is a treat, and here is an action shot taken from a posted video of selected tunes from the concert. 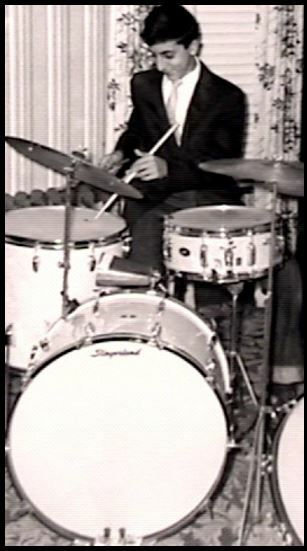 You don't want to miss this rare video footage found on DrumChops.com! Nick quit smoking years ago, but this Vintage shot of him having a smoke while working at a NYC Recording Session brings back memories of the early part of his career. 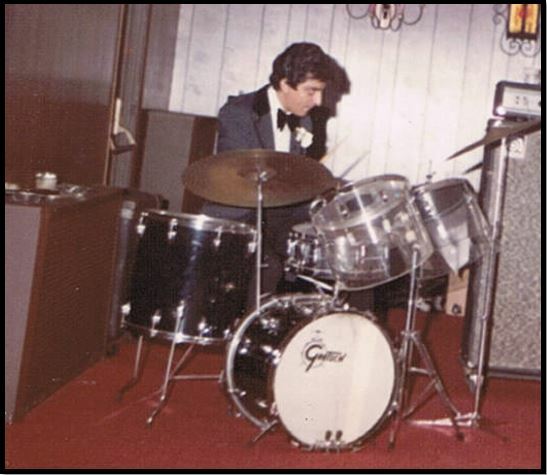 Here is an early photo of Nick grooving at a NYC Recording Session. The up-close shot shows the joy and focus that is obvious to anyone who has ever seen or heard him play. 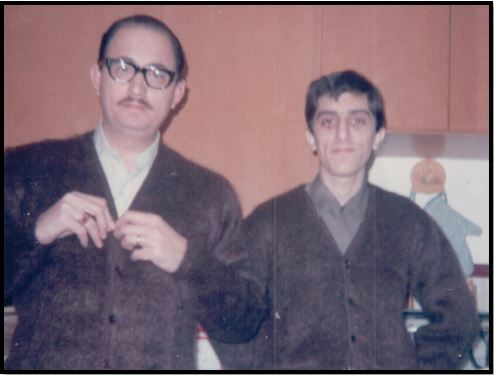 Nick & Jimmie Stavris Sr.
Nick & Jim Stavris Sr. 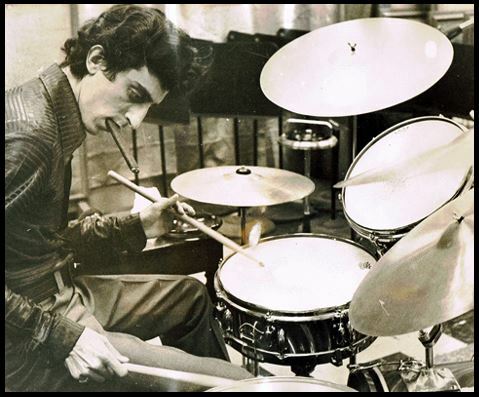 Please enjoy the classic footage of Nick's Featured Solo for "Drum Day" on the New Haven Green!" 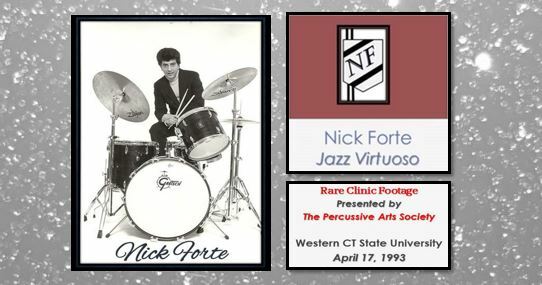 Please enjoy this "Rare" footage of Nick's Complete PAS Clinic recorded "Live" April 17, 1993"
Enjoy Nick Forte playing selected charts with the Jazz Haven Big Band"
They have called him a jazz purist, accused him of not being “eclectic” enough, But still, Nick Forte will not flinch. As a jazz drummer who started playing professionally when he was only 13 years old, Forte understands the deep roots of jazz and has watched the musical form grow, evolve and splinter off. 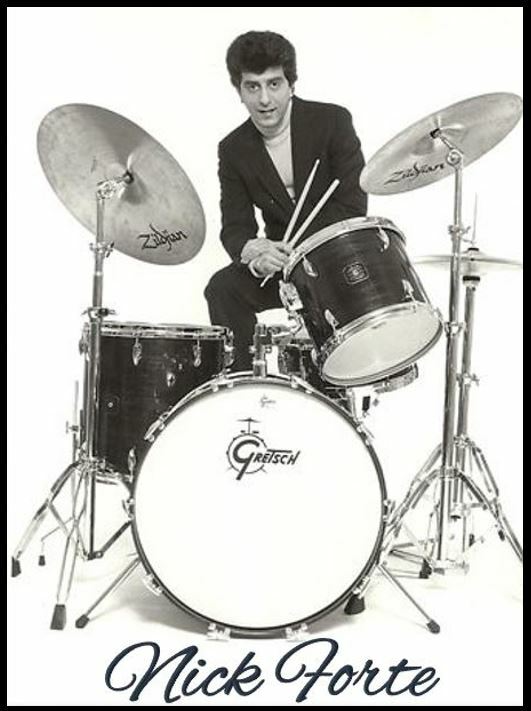 During his formative years he played with some jazz giants, including Gerry Mulligan and Dizzy Gillespie. 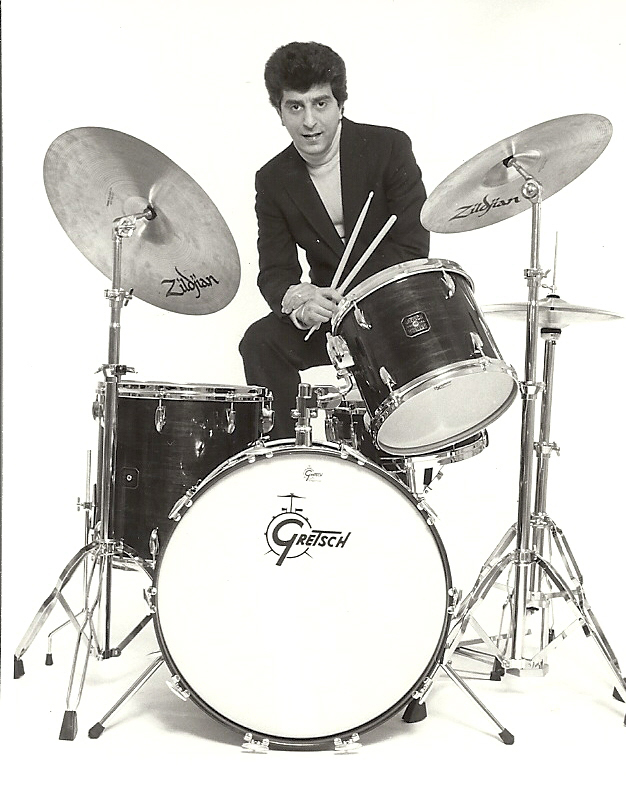 He credits early instructors James Stavris Sr. and Alexander Lepak with teaching him the basics and jazz trombonist Sonny Costanzo with giving him important breaks. The history of jazz is rich and complex, but for Forte, drum expert, the difference between true jazz and other music is often in the rhythm. “In general, when you hear jazz it is broken up into groups of threes. Rock and other music is divided into twos,” he explains. “Louis Armstrong, the Bill Evans trio, Wynton Marsalis and the early Miles Davis groups are what I would call true jazz players.” “Also,” he adds, “jazz musicians live by these two things: the figured bass line, which is a means of creating a progression or route from one measure to another, and improvisation. These jazz roots go back three hundred years,” Forte says. “Certain elements in jazz can be traced back to J.S. Bach, who was a main proponent of the figured bass line and also a great improviser. 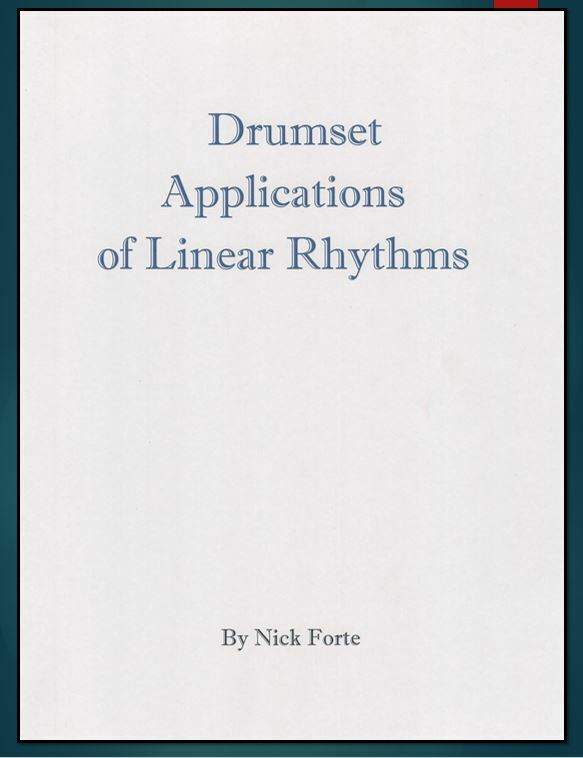 If Forte sounds as if he should teach this stuff, or at least write a book, rest assured he does, and has done, both. 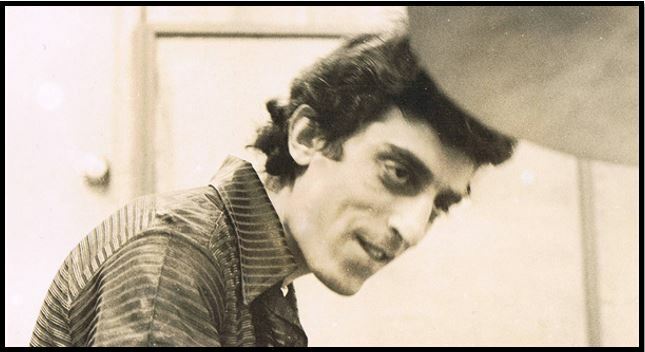 He has been passing on the jazz legacy by teaching all kinds of students in many schools. For the past eight years he has taught drum, classical percussion and rhythm courses at The Neighborhood Music School in New Haven. 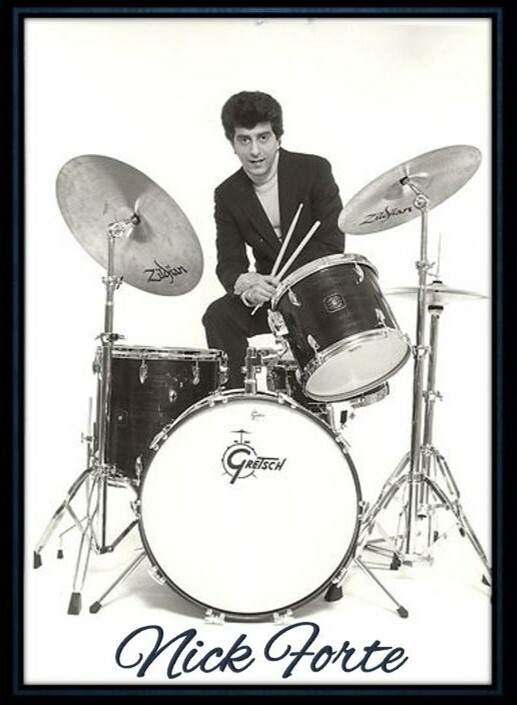 He wrote “Understanding Rhythm” for “Modern Drummer Magazine,” and the installments were brought together and published as a book called “Progressive Steps to Musical Drumming.” He has a private, in-home studio, and he continues to study and write about drums. NOTE: While this article is several years old, Nick continues to “Fight to keep the music pure.” This is seen through the extensive book catalog currently available through his Forte Music Publications business and his continued work as a professional musician and educator throughout the Connecticut area.